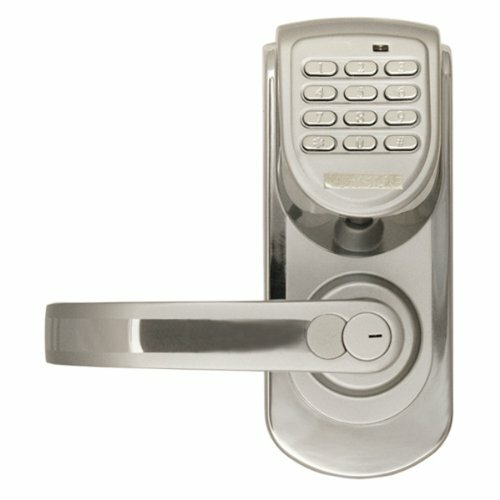 The Alarm Lock Trilogy T2 standalone electronic digital keypad cylindrical lock leverset supports up to 100 user entry codes of 3 to 5 digits for secure keyless entry, is for installation on exterior and interior doors, has a satin chrome finish, and a reversible lever handle for right- or left-hand operation. The leverset can be manually programmed through the keypad, and LED indicators and sound provide feedback for code entry and programming. 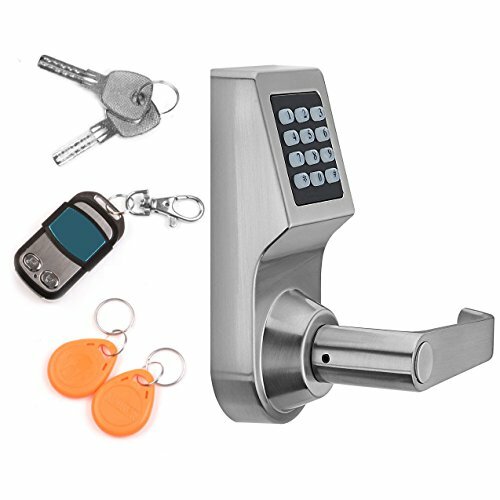 It has a cylindrical lock mechanism and a solid brass fixed key cylinder for key override to engage or release the lock. The leverset is rated for temperatures from -31 to +151 degrees F (-35 to +66 degrees C) for use on exterior, as well as interior doors. The lever handle can be installed for right- or left-hand operation. The leverset trim is made of stainless steel with a satin chrome finish that resists corrosion. The leverset is powered by 5 AA batteries (included). It meets American National Standards Institute (ANSI)/ Builders Hardware Manufacturers Association (BHMA) grade 1 standards for commercial buildings, and also meets standards that can help comply with the Americans with Disabilities Act (ADA) when properly installed. It is also Underwriters Laboratories (UL) listed for a 3-hour fire rating and Federal Communications Commission (FCC) certified. 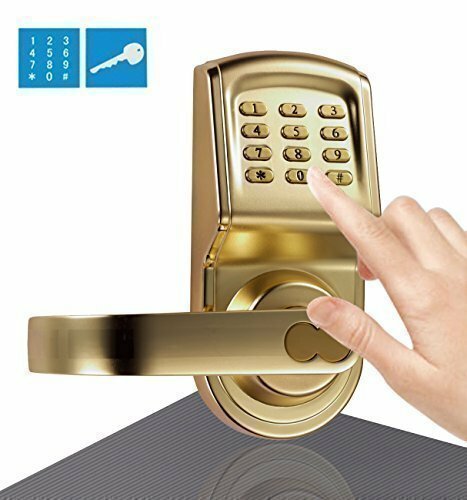 Access control keypads for doors limit entry to authorized users. 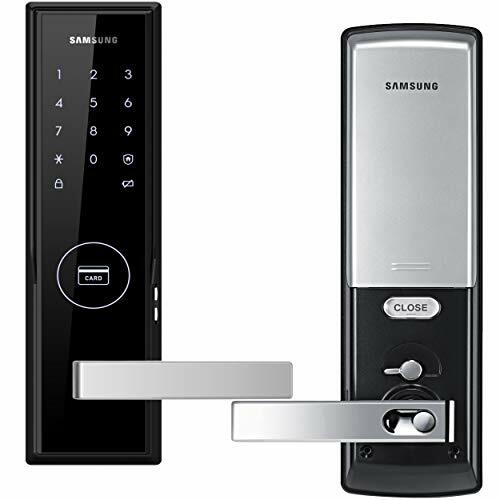 The door remains locked until a recognized code is entered through the numeric keypad and returns to the locked state when the door is closed after passage. 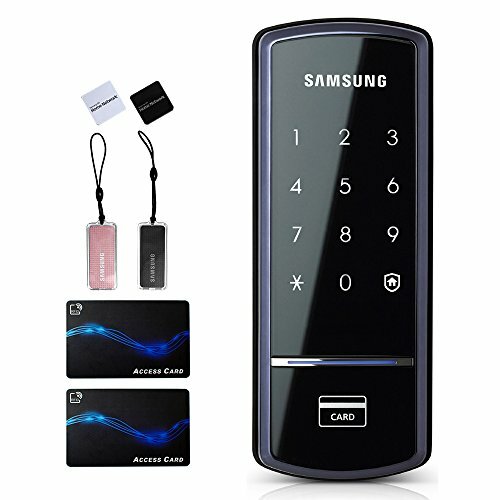 Many units include a leverset with a lock mechanism for key override to bypass the keypad. 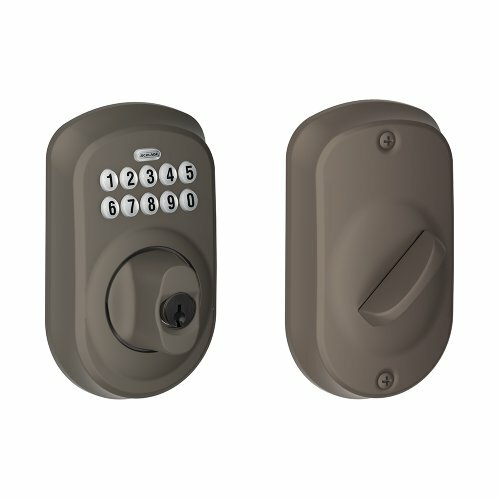 The lock mechanism may be a fixed key cylinder installed by the manufacturer, or it may accept an interchangeable core that can be replaced if security is compromised. A cylindrical lock mechanism requires two bored perpendicular holes in the door for installation, one in the door face and a crossbore hole in the door edge. A mortise lock mechanism fits into a pocket recess in the door edge. 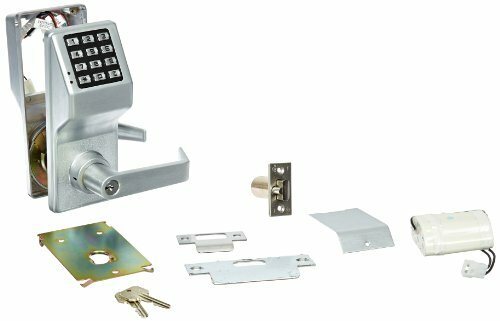 Alarm Lock Systems manufactures mechanical and electronic access controls for secure entry and egress. The company, headquartered in Amityville, NY, meets International Organization for Standardization (ISO) standard 9002.